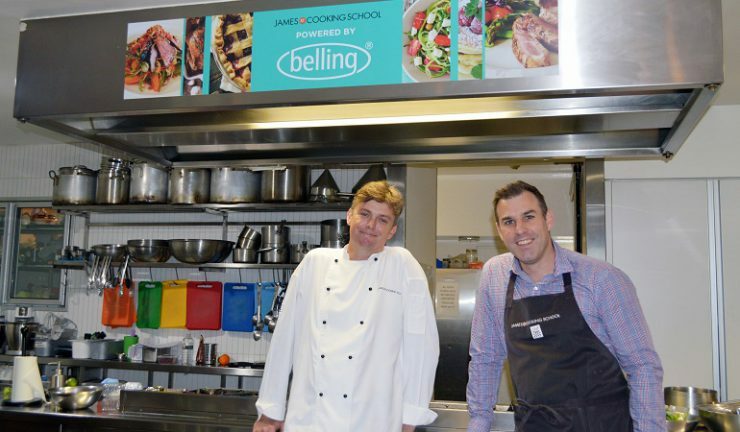 Belling Australia has partnered with Brisbane’s premier cooking facility, the James St Cooking School, which will be fitted out with premium Belling kitchen appliances including the Belling ReadyCook oven. Belling Australia marketing manager, Candice Cooke said, “This is the company’s first culinary partnership in Brisbane, and we’re excited it’s with the renowned James St facility. James St Cooking School owner and professional chef, John Meredith with Belling national sales manager for home appliances, Steve Fry. With the success of the Belling Bistro Cooking facility at the company’s former headquarters in Mount Waverley, coupled with the partnership at Hundred Acres cooking school at Ghost Rock Winery in Tasmania, Belling is looking to expand partnerships with leading cooking schools, Australia wide.